I was in the mood for a nice soft flavorful bread, so since I had some fresh milled Kamut flour ready to go, I mixed it with a good amount ricotta cheese, olive oil and some Artisan style flour from KAF. 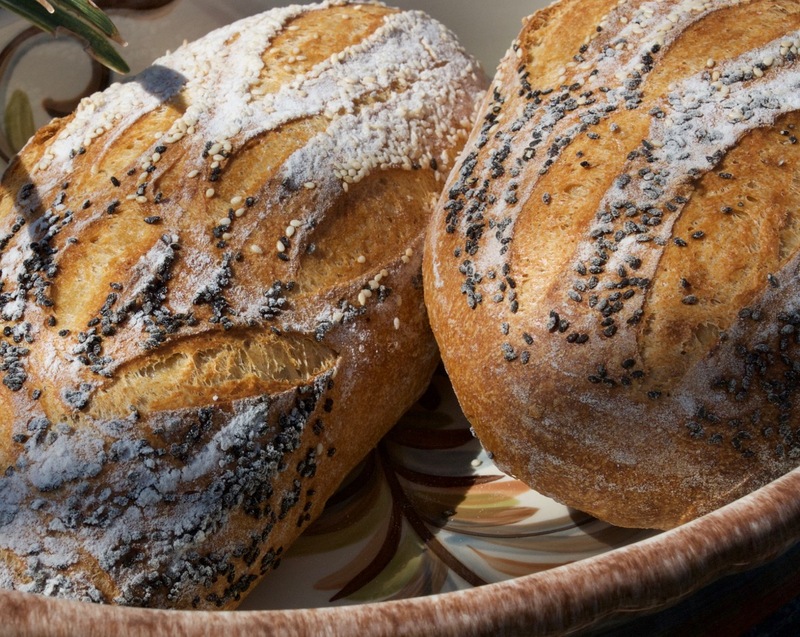 The end result was a dough that was soft as silk and ended up with a wonderful soft and flavorful crumb, perfect for sandwiches, toast and grilled bread. Gorgeous and perfectly executed. And I love the bowl, too! Ian, this is a winner, you should listen to your moods all the time! Thanks Cathy, I'm glad you like it. I hope you give this a try. 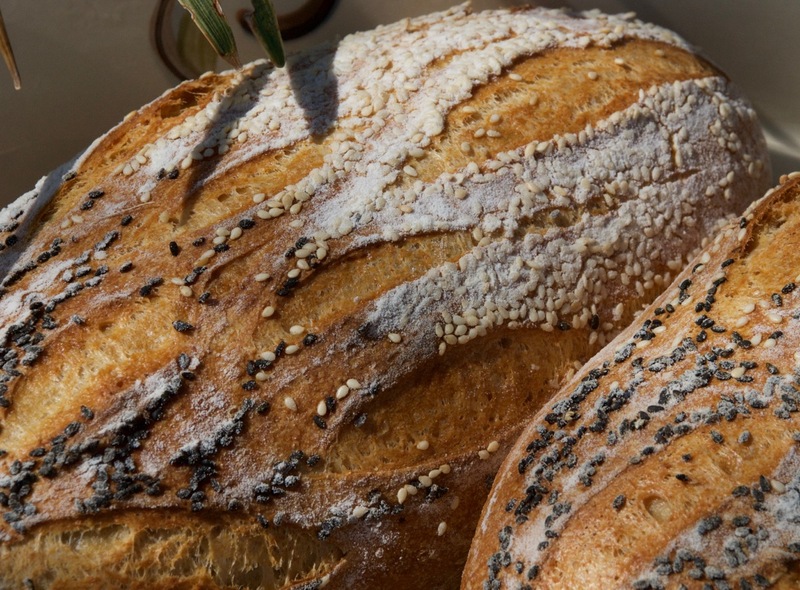 As usual, inventive and beautiful loaves. I joined some bread groups on Facebook recently and some bakers on there are doing some beautiful scoring. I've been using that as inspiration and in the past I always like to try something a little different sometimes to make it interesting. I can't draw or paint but I can find my creative side in bread baking and the real positive side is it tastes good too....most of the time :). You seem to expanding your horizons a little with great results, so keep trying new things. That was a great find with that Italian store. We have some good stores here but nothing like that one. Good write up too. :) Happy Easter Holidays! I look forward to seeing some before and after photos on your pool project and other creative endeavors! And that golden crumb almost appears cake like. Was it as tender as it looks? Thanks Trevor. No chocolate icing on this one but was a very tender crumb. chops. 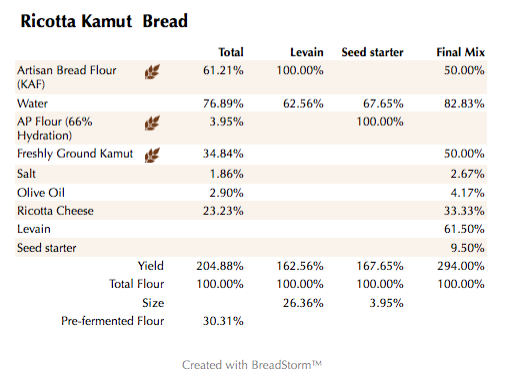 Has ti tasty with the mix if flours and the Ian classic cheese add in. What I want to know is....where is the bacon! We haven,t made you bacon cheese bread for awhile/ That is some fancy do scoring too! 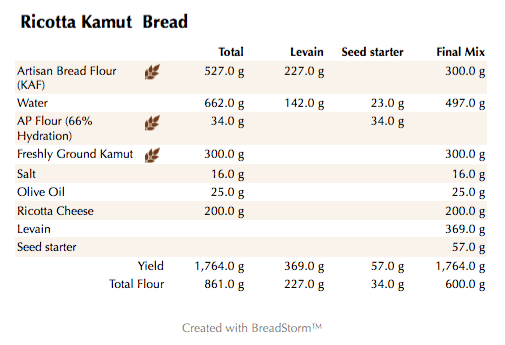 Love the yellow crumb that Kamut brings to the party - it looks perfect for sammies. I have a ton of left over prime rib on the bone from Easter It would be perfect between a couple slices of this bread. Never had prime rib beef pies before but am having them for dinner tonight:-) Well done Ian and Lucy seeds her best to the ECP. Thanks DA and Lucy! This would be perfect for your prime ribs for sure. 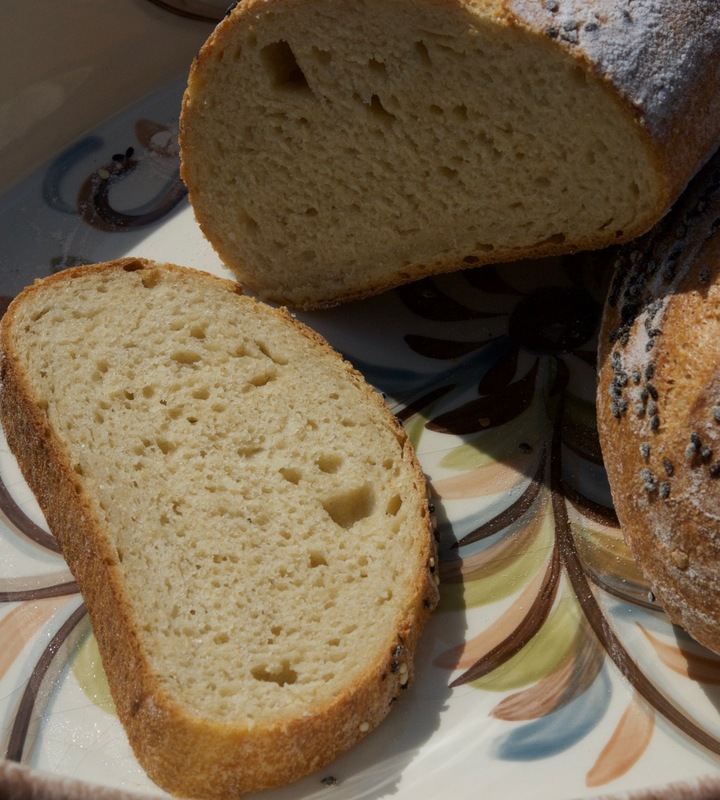 I was very happy with the softness of the crumb from the ricotta and the fresh Kamut was tasty. Prime rib pies sound pretty awesome. Max and Lexi send their best to pretty Lucy! Appreciate your kind words and glad you like it. This one other than the Ricotta cheese is pretty straight forward and if you can't find Kamut you can sub Durum flour and it will come out about the same. Hi to your group of kitties from my brood :). Those look awfully good. I might need to take a detour in that direction .... soon. 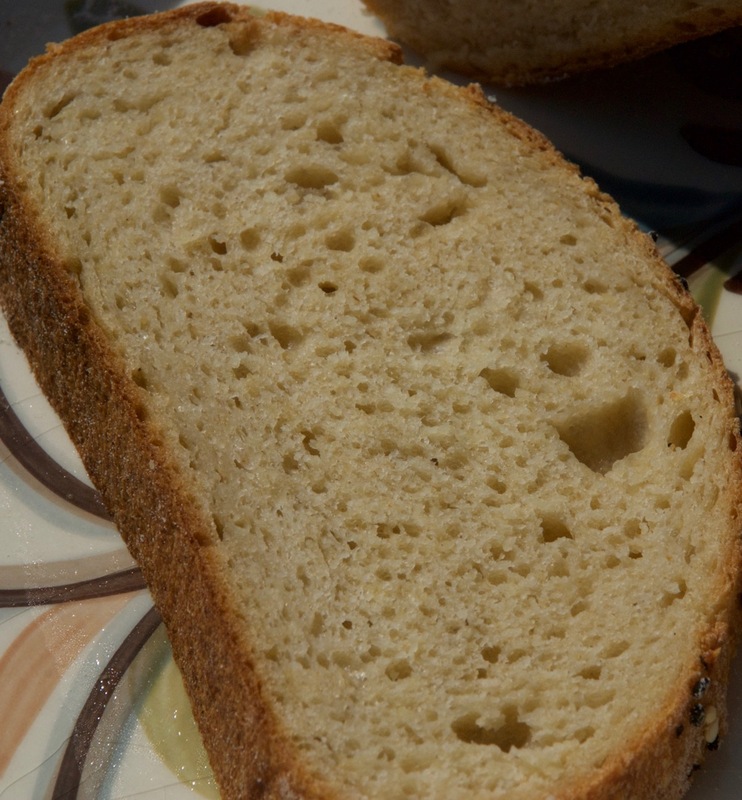 I think you will like the softness of the crumb from the added olive oil and ricotta cheese. It's a nice change of pace from the usual chewier crumb. I think next time I will add the toasted sesame seeds inside along with the smoked version and see how that comes out.